Readers have been schooled to see nineteenth-century Russian literature as the summit of social and psychological realism. But in the work of writers from Pushkin to Chekhov, Michael C. Finke discloses a pervasive self-referentiality, a running commentary on the literary conventions these texts seem so wholly to embody. Metapoesis examines how—and more importantly, why—a series of major Russian authors spanning the nineteenth century inscribed commentary on their own poetics into their works of drama, narrative poetry, and fiction. As he explores the process of metapoesis in these works, Finke reveals its communicative function in its time and its interpretive value in our own. Jakobsonian poetics provides the framework for this approach, though Finke also draws freely upon a number of contemporary literary theorists. After elucidating the meaning of metapoesis in works by Pushkin, Gogol, and Chernyshevsky, he reveals its covert functioning in such masterpieces of realism as Dostoevsky’s The Idiot, Tolstoy’s Anna Karenina, and Chekhov’s "The Steppe." The result is a new interpretation and deeper understanding of these particular works, which in turn reorient our understanding of linguistic and literary "codes" and of the Russian literary tradition itself. 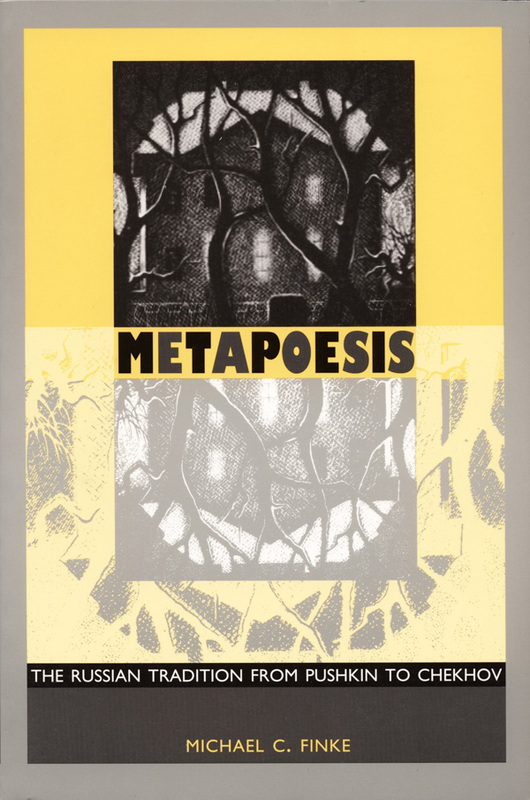 Of special interest to scholars of Russian literature, Metapoesis will also appeal to a broad range of readers and students of comparative literature, literary theory, and poetics. Michael C. Finke is Associate Professor of Russian at Washington University in St. Louis.